Brad first caught the filmmaking bug during high school in 1974 while working as a production assistant on a friend's independent 16 mm short film. After directing another 16 mm short in the 1980's, he continued learning the filmmaking craft and assisting on fellow filmmaker's projects. In the 1990's, after moving to Seattle WA, Brad continued his filmmaking career in positions that ranged from gaffer to director, and films that varied from commercials to independent features. He has experienced the birth and evolution of digital film, and understands the benefits of both digital and traditional film, as well as the discipline that celluloid filmmaking instills. During the expansion of his filmmaking resume on the west coast, Brad began teaching film production at the Seattle Film Institute, and more recently at their sister school, Carolina Film Institute in Greenville, SC. In the years in between, he was the head instructor for the former Blue Ridge Motion Pictures Film Institute, in Asheville, NC. He has 18+ years experience teaching a variety of students and experience levels the craft of filmmaking, and we are honored to have him teaching again in Asheville, NC! A great article by WNC Magazine on local filmmakers and filmmaking! W.S. Pivetta is an experienced cinematographer, photographer, sound technician, and film editor. Over the past two decades he has worked on hundreds of film projects, including independents, commercials, music videos and feature films. W.S. has been an instructor at Appalachian State University in the Department of Theatre and Dance, the former Blue Ridge Motion Picture Film Institute, and the Carolina Film Institute in Greenville, SC. In his free time, he conducts film and cinematography workshops at various universities and film schools around the country. He is an associate member of The Society of Camera Operators. His company, First Avenue Films, Inc., specializes in providing equipment support to professional and independent filmmakers, and his studio is located in Asheville, North Carolina. Andrew is an Emmy-nominated editor and screenwriter currently based out of Asheville. A native of North Carolina, he initially pursued music and recording arts at UNC-Asheville, eventually performing in a band all over the south while releasing two albums. While later attending film school in California at Chapman University, he wrote and directed two award-winning shorts, including his thesis film, Son Up, which won seven film festival awards and made the top five regionals of the Student Academy Awards. Andrew’s feature script Son Up, placed in the quarter-finals of the prestigious Nicholl’s Screenwriting Fellowship and also won the Cinequest Screenwriting Competition. Andrew eventually won the Nicholl Fellowship with his script Holy Irresistible, co-written with Nicholas Sherman, and inspired by Andrew’s experiences growing up in a small, southern town. Andrew has since written for film production companies such as Benderspink, Mandalay, and the Safran Company, and collaborated with many established filmmakers including David O. Russell. He has also worked as a video editor for over ten years, including his recently Emmy-nominated work on NFL Network’s Undrafted, and currently numerous documentary series for Redbull.tv. He rounds out his time as a judge for a renowned international screenplay contest. ​A native of Chicago and graduate of Indiana University with an Applied Bachelors in Drama and Art, Gary Donatelli began his film career as a sports videographer. He won four Emmy awards for his work on such esteemed broadcasts as ABC’s Wide World of Sports, Monday Night Football, the Summer and Winter Olympics, the Kentucky Derby, the Indianapolis 500, the World Series and classic championship heavyweight boxing matches. Gary also covered major news events for the network, such as presidential inaugurations and space shuttle launches and landings. As his career progressed, Gary rose from shooter to technical director and, finally, to director, eventually making the shift from covering live sports and news events to directing multi-camera daytime drama, such as ABC’s Loving, followed by Another World at NBC. Gary then returned to ABC for the next 13 years at One Life to Live, which garnered him 8 Emmy nominations, including 3 wins for Best Directing Team in Daytime Drama. He has also directed episodes of ABC’s General Hospital and CBS’ The Bold & The Beautiful, resulting in over 1,000 cumulative hours of broadcasted work in soap operas. Gary also worked as a film producer on Dylan Baker’s directorial debut 23Blast, which led to a multi-platform release of the film and an Audience Choice award at the Heartland Film Festival. With a longtime interest in issue-related projects, Gary is currently serving as both producer and director on Clearing Larry Floyd, a film documenting the pardon attempt of a wrongly accused man. 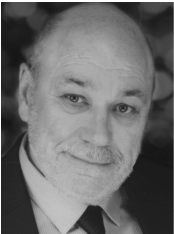 He served as Second Vice President of the Directors Guild of America, and has served as an adjunct professor for the Tisch School of the Arts at NYU and on faculty at Primary Stages Theater Company. Sidney N. Williams is a professional Production Sound Mixer, local to the Western North Carolina region. 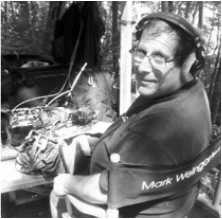 With over 30+ years sound recording experience, he specializes in film and video. Sidney has an extensive resume of previous works that include numerous feature films, (i.e., Hunger Games, The Fugitive, and That Evening Sun), as well as hundreds of national news programs, (i.e., Dateline, 60 Minutes, and 48 Hours), and many television networks, (i.e., the History Channel, Discovery, TLC, and National Geographic). Sid has also worked on several Presidential interviews and many documentaries. As a guest lecturer, Sid blends his experience of location sound recording and teaching into a valuable seminar for all filmmakers and videographers. David Schmidt started his audio career after graduation from the Audio Technology program at American University in Washington, DC. He immediately began recording and producing CD projects for bands in the DC Area as well as mixing live sound for a variety of acts. He joined the staff of MVI Post to mix sound for picture and was quickly in demand and earned the respect of clients such as Discovery , National Geographic Channel, and History Channels. Surround sound mixes for Discovery HD Theater mixed by David were some of the first Dolby Digital Surround HD productions to appear on television. David also mixed high profile shows such as the BBC productions of Walking with Dinosaurs and Raising the Titanic with Jim Cameron. He honed his craft directing hundreds of narration sessions, selecting thousands of music cuts, and editing tens of thousands of sfx in productions for film, TV, corporate, radio, games and the web. In 2004, David opened Acapella Audio in Asheville, North Carolina to better serve his clients. He currently mixes in stereo and surround for Film, TV and Games for long time clients from the DC area as well as many local and national clients. As part of his post-production mix, David draws on his studio’s high-quality music and sfx library and offers clients music composition. In addition to his mixing, David is frequently called upon for location sound. He’s recorded location sound for clients as diverse as The Hunger Games, HGTV, Speed Channel, and Good Morning America. Frank Thompson, is an author, film historian and television writer relocated from L.A. to Asheville, with over 20 years film industry experience. His extensive background includes authoring over 40 books and providing audio commentary on dozens of DVDs and Blu-Rays. Frank has been a guest curator for two major state museum Cinema exhibits, and worked as a Warner Brothers photo archivist for four years. Frank has written, directed, produced and/or appeared in numerous television and video documentaries. 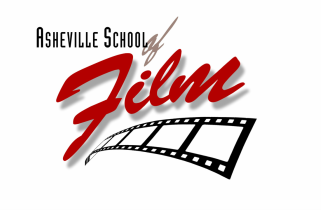 Additionally, Frank currently hosts two podcasts, “The Commentary Track” and “Radio Movies with Frank Thompson.” Frank brings his vast knowledge of the History of Film from its origin to present day to the Asheville School of Film. Stephen Marsh was born in Bournemouth a large Victorian seaside town in southern England in 1948. At the age of fifteen he was apprenticed to become a sign writer and gilder. As part of his apprenticeship Stephen attended Bournemouth College of Art, studying photography, design, paste-up and life drawing. At the end of his apprenticeship Stephen headed to London to enter the theatre. Stephen then spent a number of years playing in Repertory Theatre’s, and installing scenery. He moved into television, playing in a weekly series for the BBC for another two years. During this time Stephen also worked on his love for animation producing a number of short films and he designed sets for theatre and did illustration work for J. Walter Thompson, and posters for Concerts. In Los Angeles he showed his films and got a job making stop frame animation for commercials and inserts and special photographic effects for TV and motion pictures. He also worked on design and building props and miniatures. After a stint in drawn animation, Stephen worked freelance as a storyboard artist and set illustrator, then soon as Art Director. Stephen continued to work as Production Designer in film and TV for the past thirty years. He and his family recently moved to North Carolina. Joshua Overbay (MFA) is a director, producer, and writer of narrative feature films. In 2014, he released the award-winning feature film, “As It Is in Heaven.” After playing in theaters across the United States, The NY Times deemed it a “Critic’s Pick”, while The Hollywood Reporter described it as “ominous” and “quietly compelling.” Other major critics called it “absorbing”, “coolly mesmerizing”, “tantalizing”, and “devastating.” In 2015, his second feature film, "Hope Bridge," was released and can now be purchased at any Wal-Mart, Target, or Best Buy. Most recently, he completed principal photography on his third feature film entitled, “Luke and Jo.” It will be released in 2018 . Before "As It Is in Heaven," Overbay garnered 30 awards for his short films. His film, “Transposition,” was a 2009 National Finalist for the Student Academy Awards. He has taught courses in independent filmmaking, screenwriting, directing, producing, and film history at Asbury University, Louisiana State University, and Western Carolina University. ​Aaron Pelman has contributed to the development, prep, production, and/or wrap of 550 television episodes, 312 news broadcasts, 20 plays and live-action performances, and over 20 films. He worked in Hollywood as the assistant to an award-winning executive producer on numerous productions for television, Broadway, and theatrical motion picture release, followed by 8 years as the production administrator for a vice-president at Warner Bros. Television. He has worked on location in Hawaii, Haiti, Canada, and across the US mainland, and has hired, trained, and overseen the development of multiple Production Assistants. Credits include projects for J.J. Abrams, Jerry Bruckheimer, Kathleen Kennedy, Aaron Sorkin, Adam Sandler, Amy Sherman-Palladino, and Greg Berlanti. Sharon has an extensive history in professional Voiceover (VO) acting, spending the last decade lending her voice to a multitude of television networks and big brands, from ESPN, MTV, VH1, Nickelodeon, Fox Sports and Animal Planet to Ford, Dunkin’ Donuts, Applebee’s, Zyrtec, Coca-Cola, McDonalds & Subway. She is currently the brand voice of HGTV and the voice of the Plane Train and ATL SkyTrain at the Atlanta Airport. Beth, Brad Hoover's other half, is excited to be a part of ASoF's daily operation and co-owner. She acts as the students' direct liaison and admission coordinator, as well as primary contact for most actors used in ASoF productions. When she's not fielding calls or emails for ASoF, or managing it's business, you may find her practicing veterinary medicine at a local clinic or raising a rambunctious little boy. Entrance is to the Right of the truck dock, at the FAR LEFT corner of the building. Parking: 2 Hour along the Street, Under the building (Ann Street Entrance), or in the United Way parking lot AFTER 5 pm. Beth Rhyne, our business manager, would be happy to speak with you regarding details on our school and class offerings!